Eaton 10250T Series heavy-duty non-illuminated selector switch with knob, is a 3-Position switch that has 30.5 mm hole diameter. This 60-Degree throw right and left, maintained switch is made of metal bezel with chrome housing. 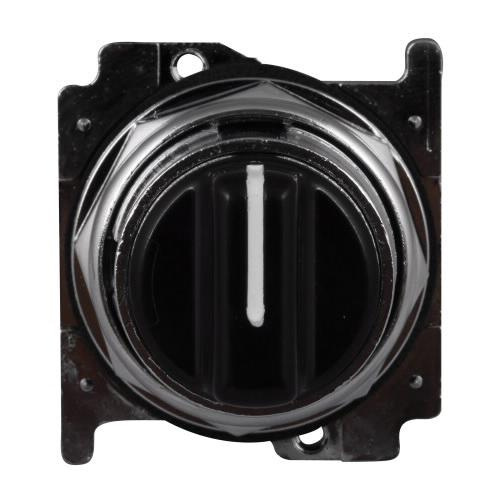 Black colored switch can be vertically mounted and has NEMA 3, 3R, 4, 4X, 12, 13 rating. Explicitly it is suitable for automation and logic control equipment. Switch is UL listed and CSA/CE certified.